Richard Appiah Akoto, a Ghanaian teacher is facing a pretty awkward problem. He needed to find a way to help his students to pass a national exam information and communication technology(ICT), without a computer, because the school where he’s teaching hasn’t had one since 2011. “I wanted them to know or see how the window will appear if they were to be behind a computer. Always wanted them to have interest in the subject so I always do my possible best for them,” the professor said. The images of him drawing the layout of Microsoft Word for his students at Betenase M/A Junior High School in Sekyedomase, Ghana immediately went viral on social media. 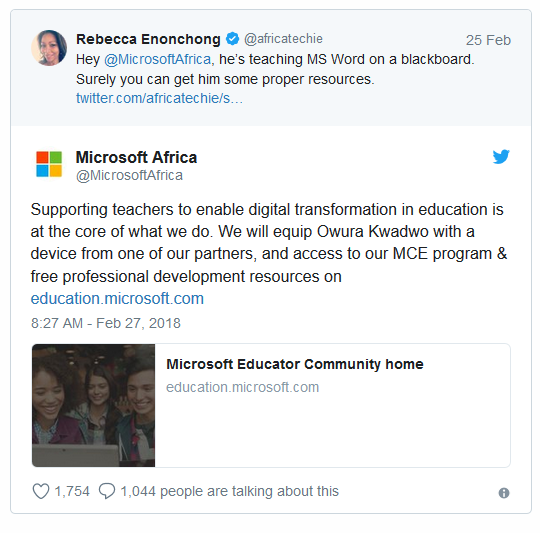 Among the people who shared this incredible story was Rebecca Enonchong, an entrepreneur who urged Microsoft Africa on Twitter to provide “some proper resources,” for the teacher. And Microsoft Africa replied, promising to help the professor to teach his students in proper conditions. Anyway, Akoto’s students declared satisfied about their teacher’s ingeniously method because it made the explanation about launching Word very easy for most of them. “I have been doing this every time the lesson I’m teaching demands it. I’ve drawn monitors, system units, keyboards, mouse, formatting toolbar, drawing toolbar, save as dialog box and so on,” added the teacher. 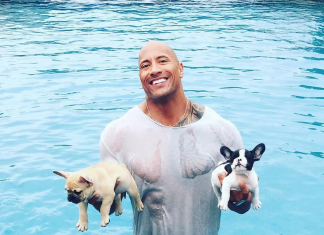 If you like this incredible story, share it with your friends!